How's every? How are you, family, kinks? 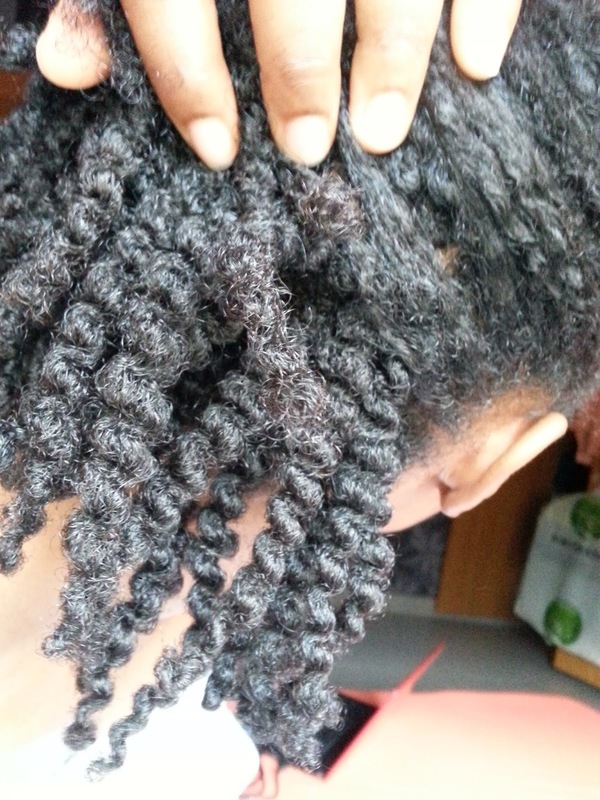 If you've ever struggled with getting your twist-out right, this one's for you. Some time around November I figured out how to get the perfect twist-out. I have it down to a science now and it's fool-proof. Just a few simple rules. Some people have noticed they get their best results when they start with freshly washed, very damp hair. That's one way to go. 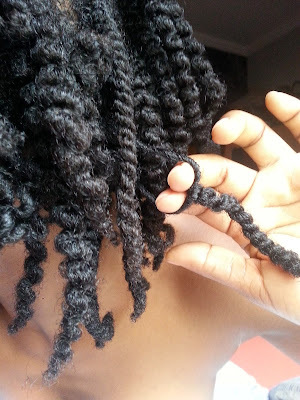 Another way is to twist hair whenever you like; even dry, stretched hair, and in the process of wearing the twists do a quick wash or co-wash so the hair gets wet while in twists, and then dries. That's what I usually do. 2. Technique- never borrow hair. Let me explain. You take the section you want to twist, detangle, divide it into the two usual halves for two-strand twists. Make sure they are equal. Twist from top to bottom without ever borrowing hair from one half. Making sure they're equal pays off because you don't run out of hair in one half and then have to borrow to complete the twist. It's a proven fact. The longer you leave in your prep style, the more defined your results will be. 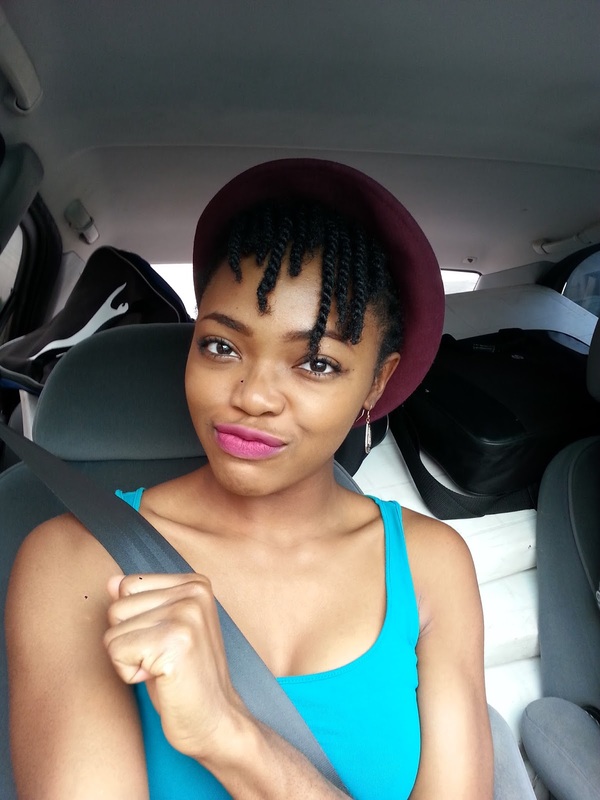 So make your twists nice and neat, accessorise and rock them for a few days before takedown. Make sure the twists are dry now. If you follow step 2, takedown will be cake. Because you kept the halves separate throughout your twist, you can put a lightly oiled finger through the loop at the top and just run it down in a single movement. No tangles, no frizz, just definition. 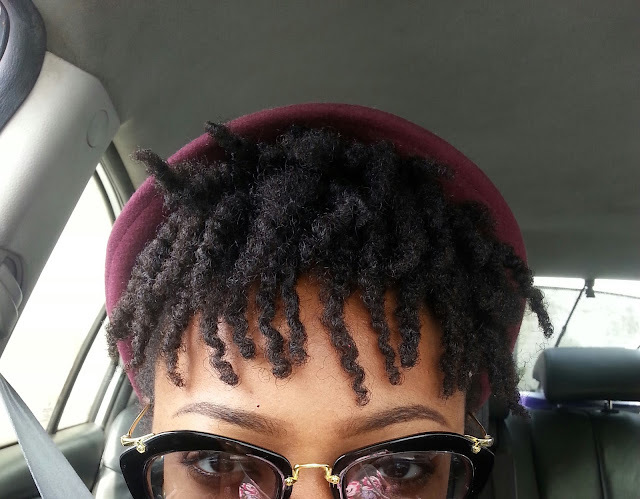 Remember my Brazilian wool faux locs? 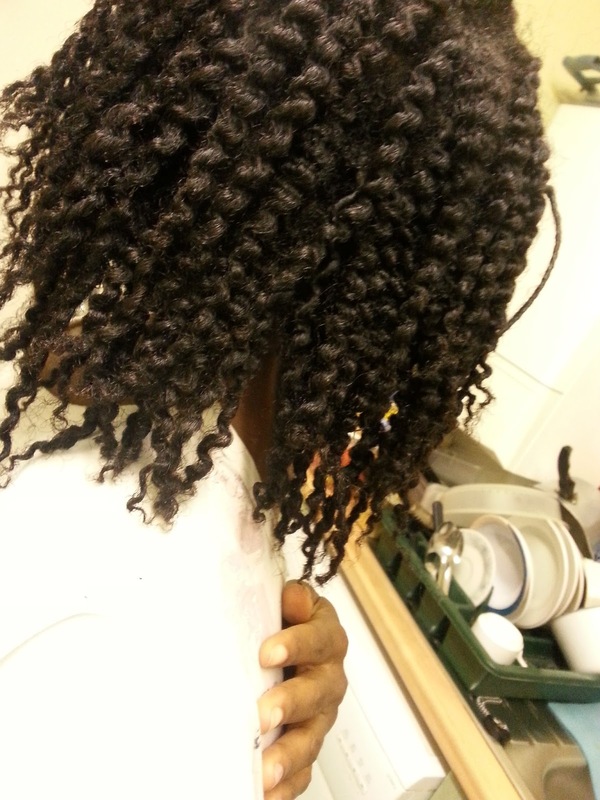 This was the result after 4 weeks in twists and three washes in that period. And that's it. When I do all this it doesn't even matter what product I use to twist. Definition every time. I just fluff the roots with my fingers to encourage volume and hide any scalp. I like to pin up the sides and leave the back and front sections loose. At night, I pineapple my hair ie put it in a loose puff and cover with a satin bonnet or scarf. 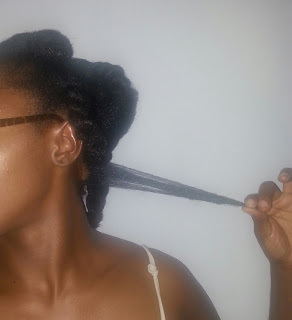 The style lasts for 3-4 days and then starts to look like locs, which is cool, but then dryness begins to set in and I'm due for a wash.
Do you have any tricks for your twists/twistouts? Wow! Those are the best twistouts! I like the fact that they are frizz free. Which products did you use I see they still have moisture even after you take down the twists? I used water in a spray bottle and My diy cocoa butter cream to twist, and use the same duo to moisturise and seal daily (at least I try). 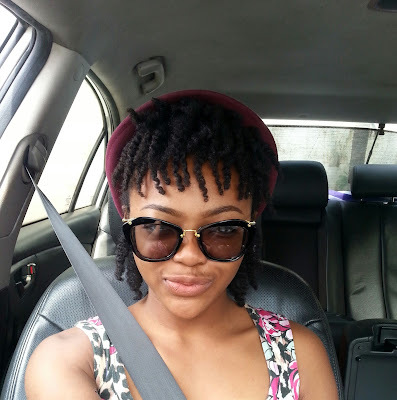 Your twists are proper girl! 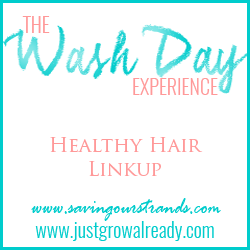 How do you keep your hair looking soft and shiny? 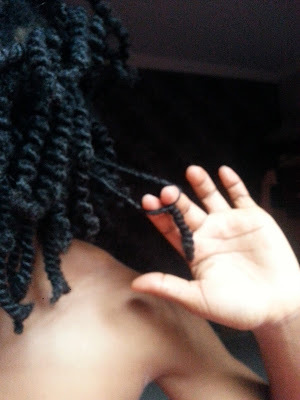 My sister is natural, but we couldn't seem to get her hair to become soft when we did twists on it. I try to moisturise and seal daily even while in twists. Butters soften my hair nicely, the link to my diy one is in the reply above. Thanks for the tips. I shall remember not to "borrow hair" when im doing my next twists. Your twist outs are sweet and they LAST. These sound like great tips. I just needed this post. I need to take down my braids. Twists and perfect twist outs to the rescue. 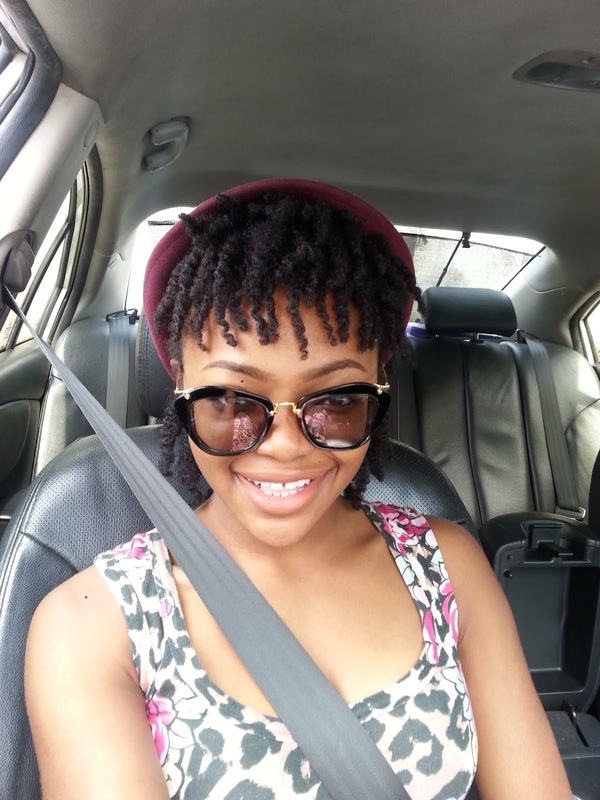 Really nice twist-outs, Sandra, with good tips. Your twists also look super cute! I think twist outs on all kinds of 4c hair will yield definition following these steps, with or without product, or with nothing too fancy. However, I feel like there's a next-level twist out, for fullness as well as definition. If I want to have a curly fro for instace, twist outs like this give that crimped definition but nothing as full as I'd like. According to my lessons at YouTube university, extra fullness is achieved by further separation and that is where I'm stuck, where I have issues with my twist out. I had previously thought this hard, or not really doable for 4C hair but Aboyowa (westafricanbaby) separates with such finesse, she gets to have that curly Whitney Houston in the 80s look. Maybe I need to up my technique or find the perfect product, that delivers the definition even post-separation. You're right about that- for me it's been either maximum volume or definition, never both. Separating more than just a little creates frizz for me. I'm more likely to get a curly fro with bantu knots. Maybe I'll watch closely how westafricanbaby does hers and then give it a try.